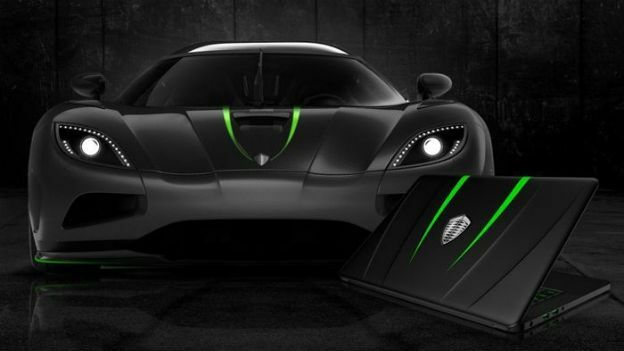 Razer is known for some pretty outlandish-looking products, but the "cult gaming brand" has now revealed the fruits of a new partnership with supercar manufacturer Koenigsegg. The result is a Koenigsegg limited edition Razer Blade gaming laptop that we think looks pretty awesome. Unfortunately, the American company has decided not to put the new lappy on sale to the public. So, looks like it's back to the PlayStation 4 or Xbox One. Instead, the San Francisco-based company will be officially demoing it at the Geneva Motor Show next month. It'll show off its performance to a few lucky driving fans who will get to pilot a virtual Koenigsegg Agera R.
"As far as I´m concerned, Koenigsegg is the archetype by which all design innovation may be measured universally-a company hell bent on combining beauty, performance and sheer power," said Min-Liang Tan, Razer co-founder, CEO and creative director. Although Razer won't be making the laptop availalbe to buy, the company will be giving a couple away as part of a competition to celebrate the partnership. So, at least that's something - head over to the Razer site for more information. In the meantime, you might not be able to get hold of this great-looking gaming laptop, but you can read up on our exclusive Thief review here. And fear not, we'll have all the latest car news delivered straight from Geneva when the motor show kicks off.